A lot of the people involved in helping with the race are not shown above. I will try to include all the ones who help out on a regular basis. That way you get to know more crew up front. I also want to thank everybody who has ever been involved for the great effort. This race would be impossible with out you guys! We look forward to meeting you all at one of our checkpoints or out on the trail! 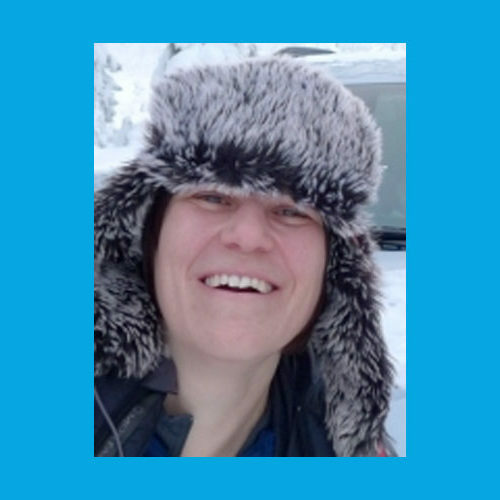 Diane is a UK registered Paramedic with 15 years pre-hospital and wilderness medical experience. She holds ALS and PHTLS qualifications and is a member of the Wilderness Medical Society. 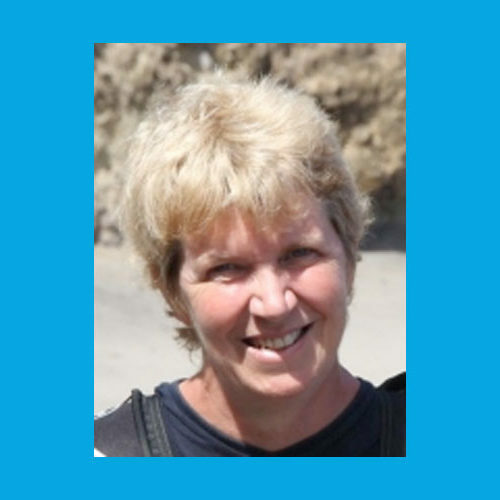 Diane has been involved with the race since 2005 and is responsible for recruiting and coordinating the race medics and checkpoint volunteers. 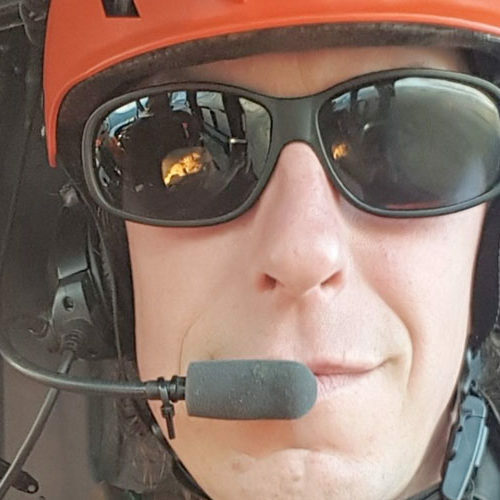 Back in the UK she teaches student Paramedics as well as a range of wilderness responder courses but escapes overseas as much as possible to put her skills to use. 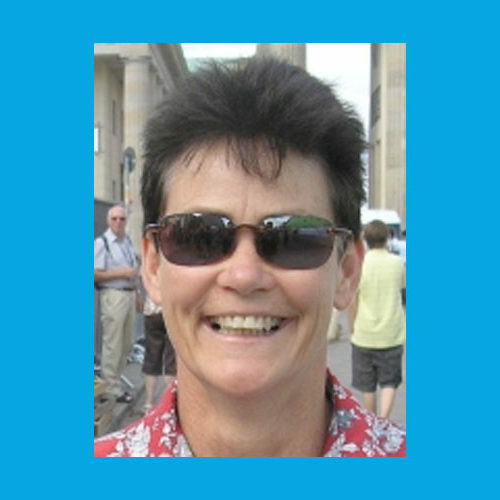 Shelley has lived, worked, raced and coached in the north for over 30 years with time in the Northwest Territories, Alaska and the Yukon. Her degree is in exercise physiology and athletic therapy. 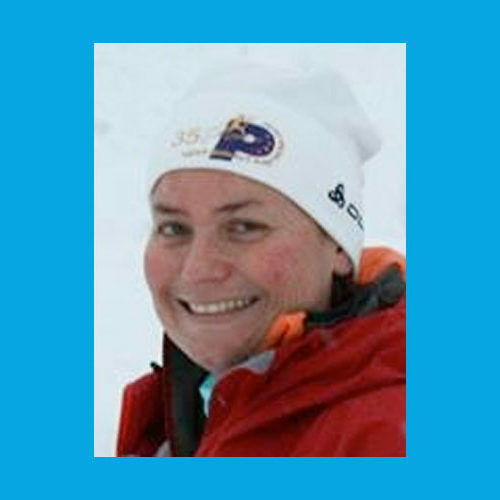 Over the years, Shelley has been involved as an athlete and coach in many sports, with winter activities being her favourite. 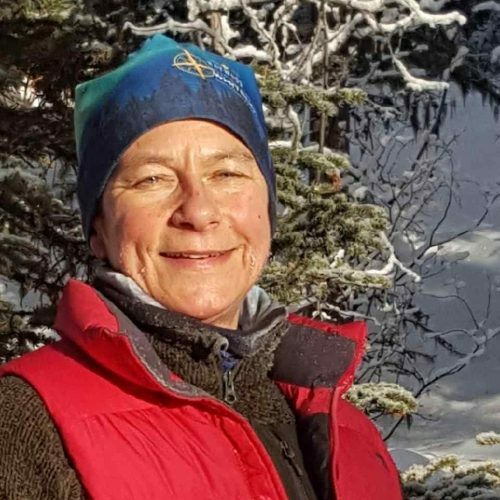 She has competed in cross country ski racing, biathlon, snowshoe racing and completed many ski mountaineering trips. 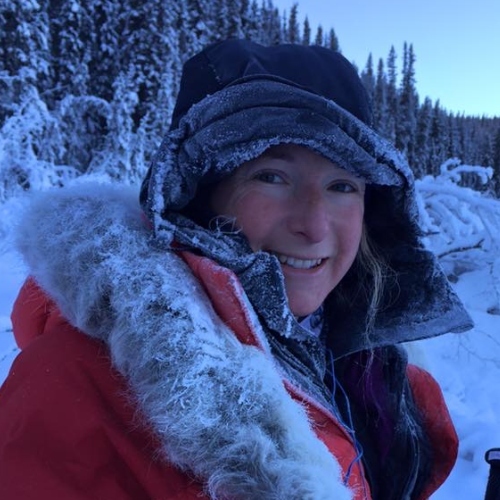 Shelley has been involved in the Montane Yukon Arctic Ultra since its inception in 2003, with several finishes and many DNFs! Every outing on the trail is a learning experience whichis key to having a successful trip. As Shelley has always said in the pre-race course: No one has ever DNFed in the MYAU due to lack of fitness. It is always system failure, poor decision making or problem solving. I am an airline pilot based in Mallorca, Spain. I have always loved sports and the outdoors. Although I now live on a Mediterranean island I am most at home in the cold and have happily climbed up and down mountains all over the world. Having completed many ironman races I looked for new challenges in the form of long distance running events including the Spine race and 4 Deserts Gobi and Patagonia races. I first came to the Yukon in 2013 to see the Northern Lights and cuddle huskies and I fell in love with the place. This was where I first heard about the MYAU and the seed was planted. I successfully completed the MDS, my first ultra race in 2014, which gave me the confidence (if not the climate training) to enter the MYAU. I completed the 430 miles in 2015, the 300 miles in 2016 and volunteered in 2017 and again in 2018. I find it hard to sit still indoors so you will probably catch me out walking the trails in between volunteer duties. I am a father of 2 beautiful and talented daughters, all of my spare time is spent with my family and friends enjoying the Yukon back yard. I am up for pretty much any adventure as long as there is solid trustworthy company, some risk and challenge involved. I look forward to being a part of your MYAU experience, see you on the trail. We were both born in Southern Canada, and have been in the Yukon since the early 90s. Making a living in the carpentry business keeps us busy throughout the year. 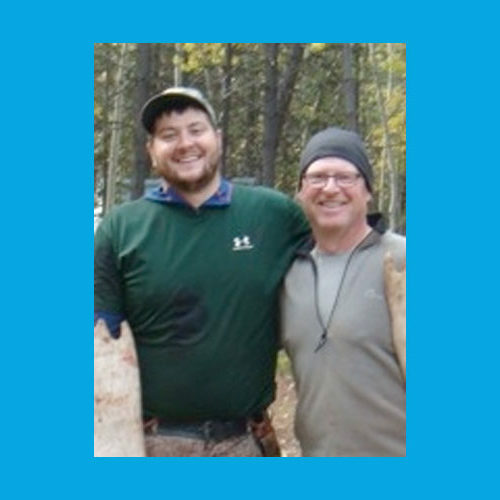 As father and son, we are always looking for any outing or adventure that we can do together. Behind our success is our loving wife and Mother Tricia. The Ultra allows us to work as a team and meet amazing people every year. 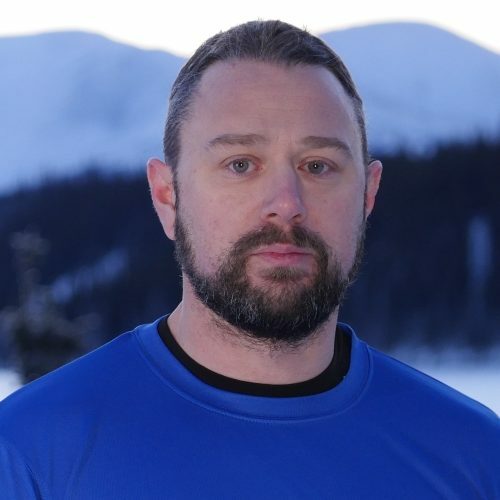 I have been involved in the MYAU since 2012 when I first came across to the Yukon on a reconnaissance mission and as a volunteer for the race. In 2013 I brought my then boyfriend Stewart Stirling and we attempted the 100 mile distance on skis but I was stopped in my tracks by an infected blister (pay heed racers!) 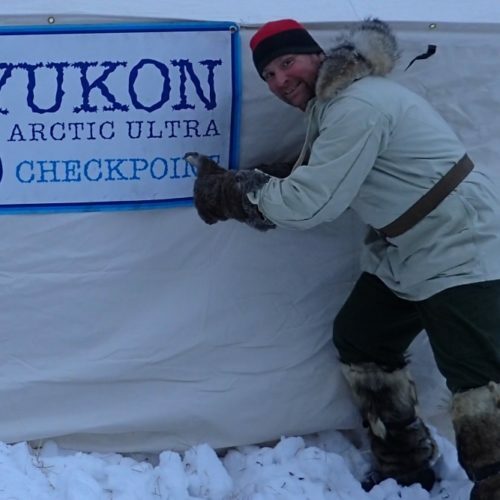 but I have been back as a volunteer ever since and love both the Yukon and the race. No stranger to cold places I have skied across Greenland with sled dogs and lived in Norway. My job is to run the race headquarters from Scuttlebutt Lodge at Braeburn Lake and man the phone, monitor the SPOT, coordinate stuff, update the website and keep everyone at home informed about how the race is going. I get to sit in a cosy cabin doing all this while all you crazies are out there suffering in the cold. Where would I rather be though …? 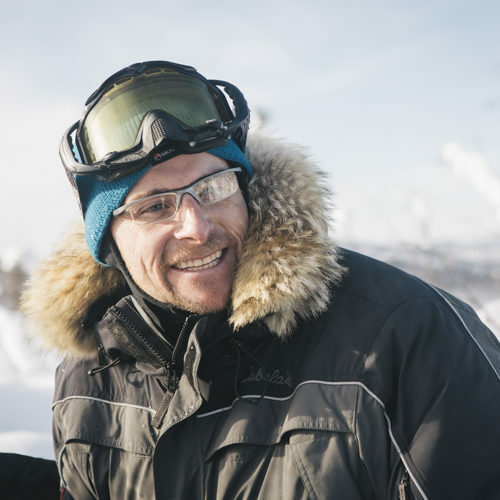 Robert moved to the Yukon in 2009 from Germany and has spent as much time as possible since then in the great outdoors. As a wilderness tour guide he has had the opportunity to see many beautiful Yukon places and rivers. 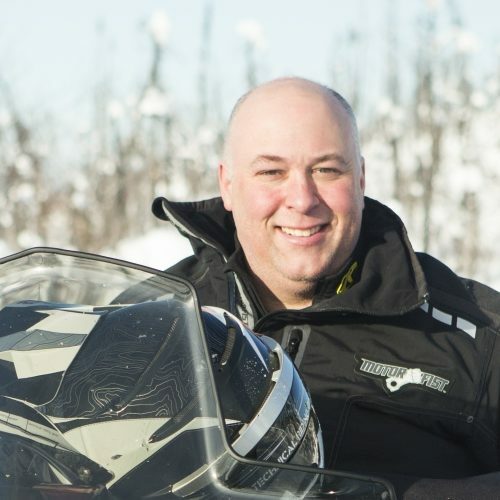 He is a returning volunteer for the Yukon Quest and part of Yukon Search and Rescue. Loving the winters here in the Yukon his favourites are snow covered trails and the quietness of a aurora filled night. Robert helps with checkpoint set-up, Scroggie Creek CP and there is a good chance you will see him out on the trail. Since retiring from the Police Service after my 30 year stint I have been involved almost exclusively with the outdoor industry. As a result I have been lucky enough to lead expeditions to Nepal, Borneo, Thailand and Laos. 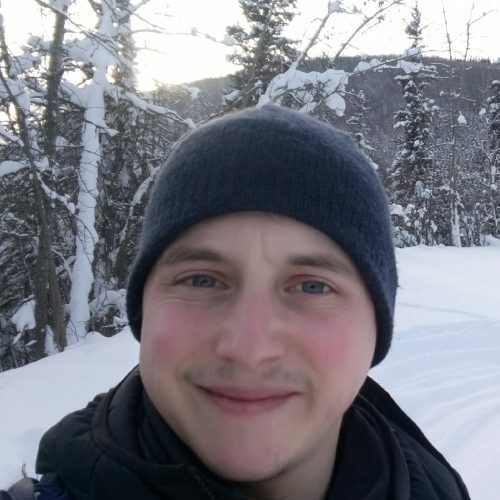 As well as the “hot stuff” I’m keen on colder climates as well and have spent time x country skiing in Norway and winter climbing in Scotland. 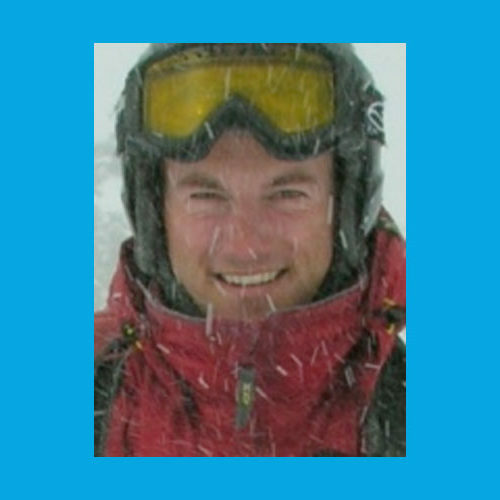 I have been involved in long expeditions and mountain challenge events in the UK and I have also diversified into cycle guiding, leading groups on London to Paris, London to Brussels and across the Alps on Milan to Monaco rides. One of my highlights was leading a group of 24 up Kilimanjaro. Who knows what 2017 will bring. I’m really pleased to be assisting with the set up and running of Dog Grave Lake again. I know only too well what a welcome sight a checkpoint can be when out on the trail. I am a 43 Year old from Gosport in England. Married with an 18 year old daughter. My background is in Military Emergency & Pre-Hospital Care, but I now work in a GP Surgery on the south coast. Having volunteered and suffered on the race in previous years, I appreciate how important a good support team can be. 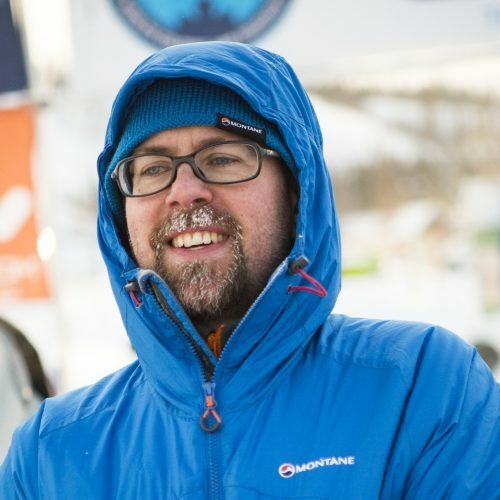 I hope my experience can help ensure a safe and enjoyable race for all competitors (well as much as you can enjoy -20c). 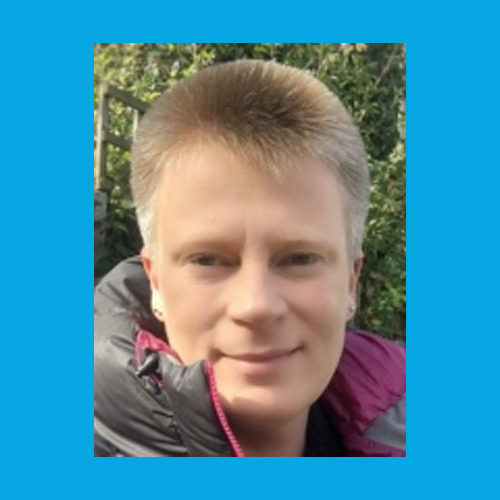 Adam has been working as a International First Aid & Rescue at Heights trainer for the last 3 years and recently qualified as a Remote Area Medic. Adam was part of the medical team for the MYAU 2016, 2017 and is looking forward to coming back in one of the future races.